One of San Diego’s premier music events is just around the corner. The 2013 San Diego Blues Festival is set for September 7, 2013, at Embarcadero Marina Park North. This year’s headliners include three members of the Blues Hall of Fame and a Grammy Award winner. Hall of Famers include harmonica great Charlie Musselwhite and Chicago musicians Billy Boy Arnold and Jody Williams, who helped Bo Diddley and others transform blues into rock ‘n’ roll in the 1950s. They will be joined by Grammy winner Dave Alvin, who has assembled a special blues band just for this year’s festival. 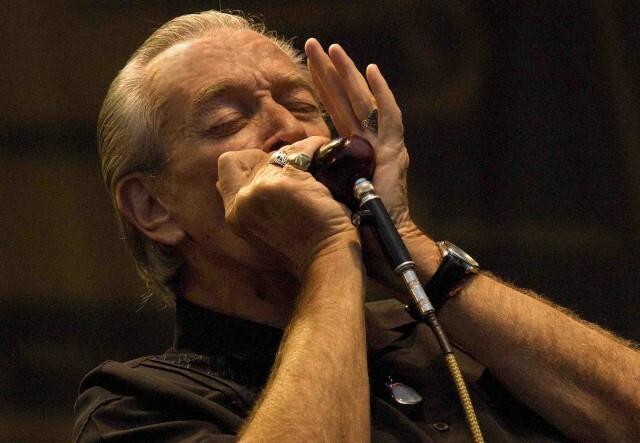 Musselwhite is one of the best known blues harmonica players today and has been nominated for seven Grammy Awards. He recently released an album with guitarist Ben Harper. Others set to take the stage include Billy Watson and his Submarine Trio, The Fremonts, Nikki Hill, Eden Brent, The Tighten Ups, the Bill Magee Blues Band and the indefatigable Lucky Peterson, whose work as a musician, arranger and composer has been featured on nearly 600 albums. The festival features continuous music on two stages – and it’s one of the best music values anywhere: General admission costs just $15, plus two cans of food. VIP tickets cost $100 and include lunch and admission to exclusive, shaded viewing areas by each stage. A $500 Star Benefactor pass includes reserved seating, lunch, drinks, free parking, a Blues Fest t-shirt, a signed festival poster and a framed photograph with one of the musicians. Children are welcome at the event; those 12 and younger are admitted free with a parent. Bring your own low-back beach chair, sunglasses, a hat, sunscreen and a windbreaker for late afternoon and early evening. Each festival-goer is allowed one factory sealed bottle of water. No other drinks, food or coolers are allowed. There are numerous public parking lots near the venue, but your best bet is to take public transportation. The San Diego Trolley stops two blocks from festival grounds.